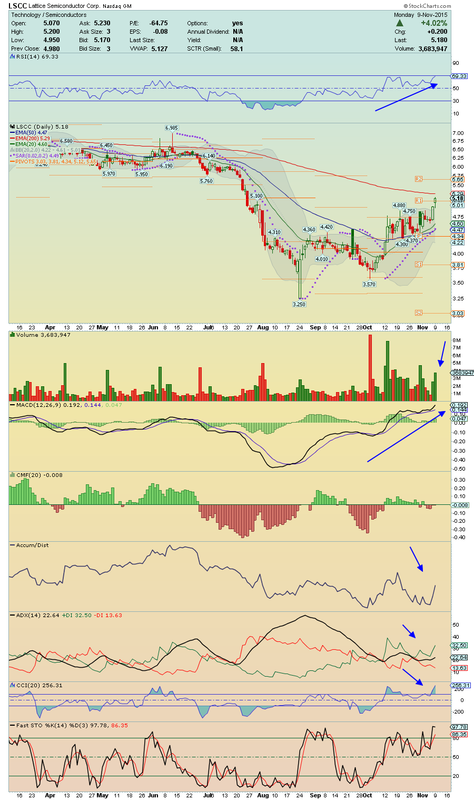 ABUS ---> Forming a solid base on the top of its 20EMA, this stock is in Breakout Mode!! 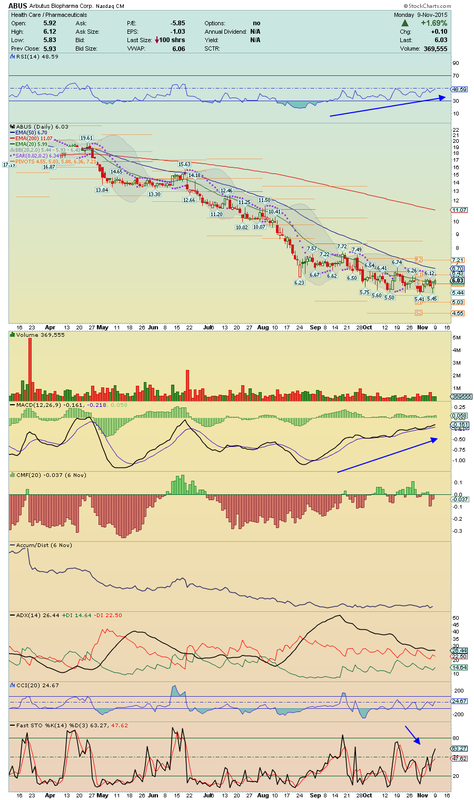 On volume and as it has 10.72% of Short Float, it can squeeze easily until $7.21 area, which is my initial target!! Important Key Levels to watch are $6.36 and then $6.70!! 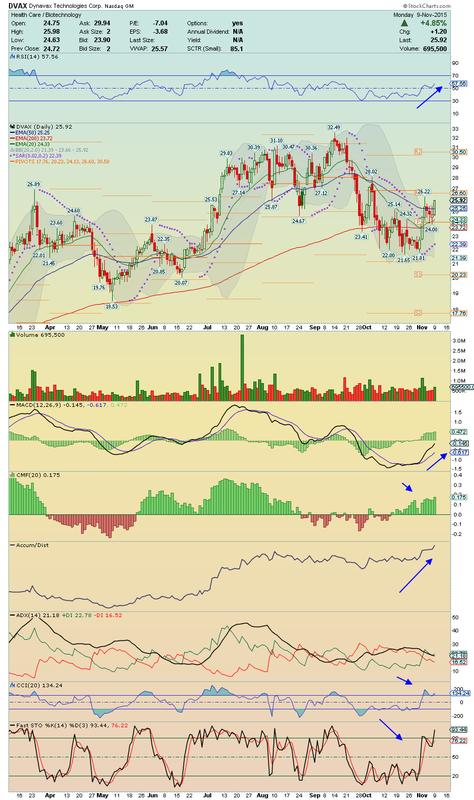 DVAX ----> Trading above all EMAs and above its Upper Bollinger Band Line, this Breakout candidate has legs to move on!! If it realize the breakout over $26.22 on volume and as it has 10.23% of short float, it can make a powerful Run Up toward $30.50 area, which is my initial target!! Important Key Levels to watch are $26.60 and then $28.02!! Gapper Candidate! 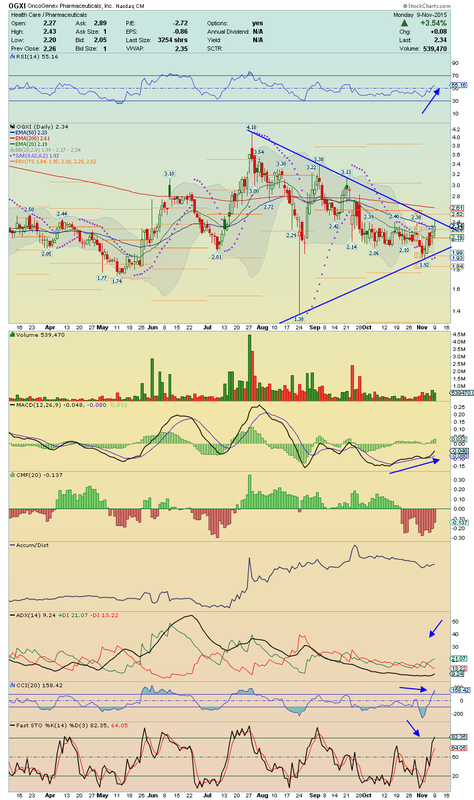 ESPR ---> Forming a solid base above its 20EMA, this Breakout candidate looks ready to move on!! Personally, interests me more the break above its 50EMA, given that it will also close the gap! 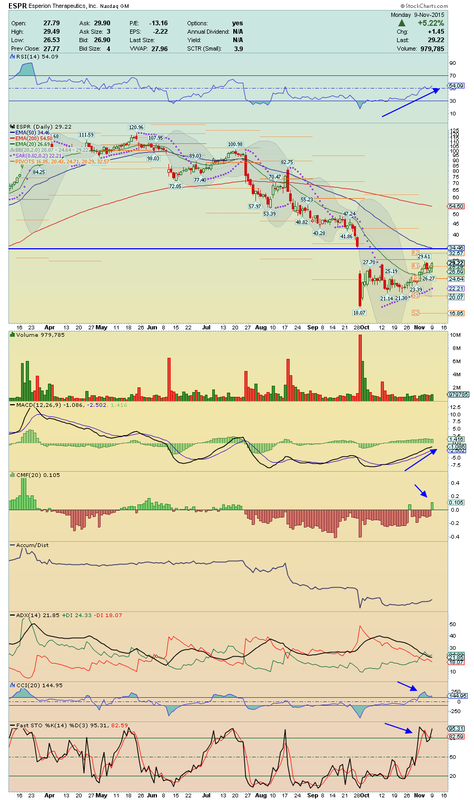 If realize this break on volume and as it has 24.10% of short float, it will stay well positioned to make a strong short squeeze toward its 200EMA!! Important Key Levels to watch are $32.57 and then $34.46!! OGXI ---> Crossed and closed above its 50EMA with decent volume, this stock is about to break above its Symmetrical Triangle, staying then well positioned to run toward its 200EMA, which is my initial target!! Important Key Levels to watch are $2.43 and then $2.52!! LSCC ---> Following my last Blog Post, this stock had a great performance today, and it makes perfect sense to keep it closely tomorrow!! A break above its 200EMA on volume could boost it for a hard run up! $6.14 is my initial target!! Important Key Levels to watch are $5.29 and then $5.65!! 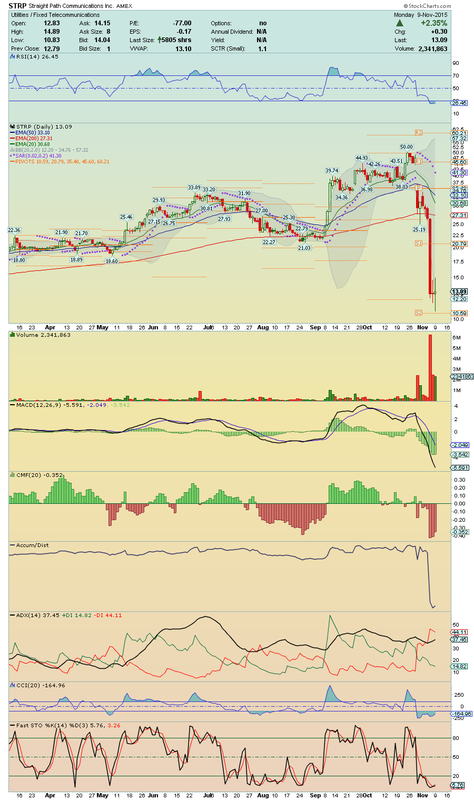 GPRO ---> This Bottom Bounce is ready to Soar!! 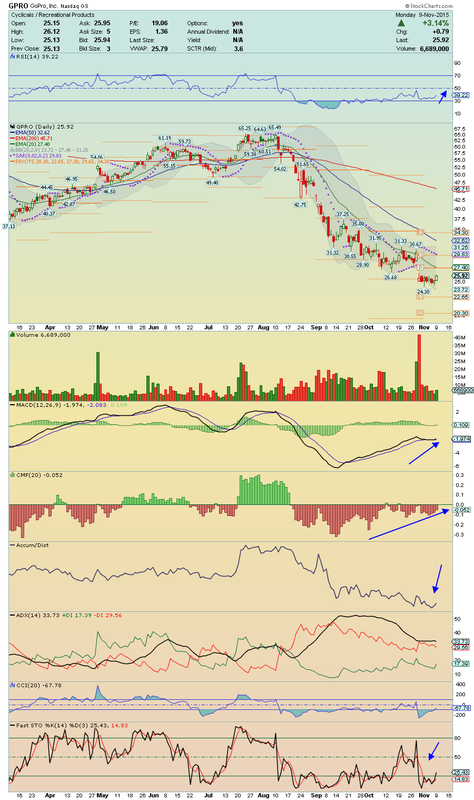 The solid positive divergences on chart are suggesting that buyers are back and i expect a strong move into its 20EMA!! If break this level on volume, it will be able to make a powerful squeeze toward its 50EMA, which is my initial target!! Important Key Levels to watch are $27.40, $29.83, and then $30.67!! STRP ---> With a new 9.2% stake by Nikos Hecht, Click here , this stock should open above $16 tomorrow!! Stay tuned! !